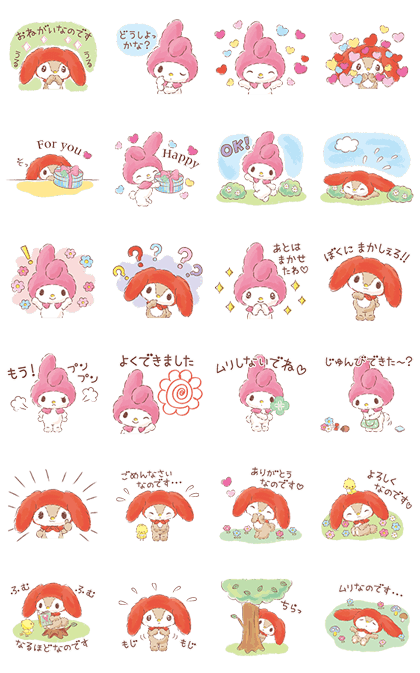 http://www.line-stickers.com/ – My Melody‘s Second Cousin Line Sticker | Hi, there. My name’s Littleforestfellow but everyone calls me Mello! 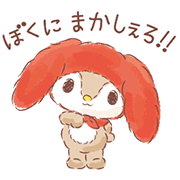 I’m My Melody’s cousin – well, her second cousin to be precise. We even have the same red hood!